My hotel was stuffed with stranded travelers from around the world, all trying to figure out how they were going to get home. Trains, boats, cars…anything that could be used as transportation was pulled into service, and I heard plenty of harebrained schemes as desperation began to take hold. Of course, I had the whole Atlantic Ocean to cross. This meant that my next 12 hours were spent trying to get a hold of anyone at British Airways. I went through numerous phone cards as I sat on hold for the next available representative, only to learn that since no one STILL knew when it was going to be safe to fly, the airlines were waiting to cancel flights until the last possible moment. And until your flight was officially cancelled, there was nothing that they could do to help you. Luckily, the hotel had an internet station in the lobby, so I could check in with the English news as well as my email (which I had ignored the whole time I was away). As I was perusing the numerous email from friends, family and work, there was one particular email that caught my eye. I had a facebook friend request from Mario. He had sent it the previous Sunday, right after we had met. So it had been sitting there. All week long. Hours passed. 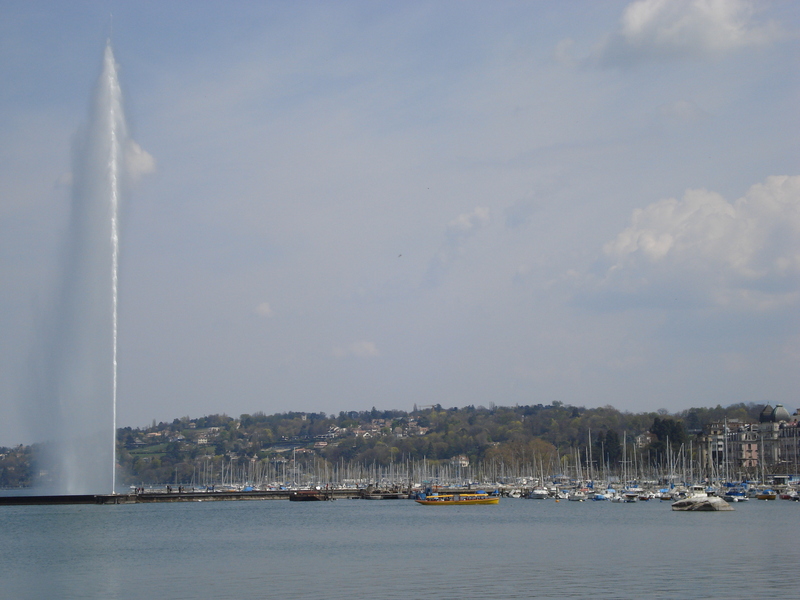 I alternated between checking my flight status on the internet (still good to go) and taking quick trips into Geneva to see the city. However, even the beauty of the city could not ease the uneasiness of not knowing what was going to happen. Finally, on one of my return trips to the internet station, I saw that the decision had finally been made. All Monday flights were cancelled. That’s when the fun really begun. The email to my boss explaining that I wouldn’t be returning to work because a volcano had exploded. I could just imagine his face when he read that one. The plea on facebook to see if any of my friends knew someone in Switzerland who wouldn’t mind a random American girl crashing on their couch for an indeterminate amount of time. And more time waiting on the phone for the next available representative. Monday morning finally rolls around. My boss sends me a reply to “have fun” with my extended vacation. Miraculously, my friends have pulled through and I have two families who are willing to welcome me with open arms. And a representative finally becomes available. I leave the hotel with the knowledge that I have secured another flight home – next Monday. I have a whole additional week in Switzerland. This entry was posted in 2010, Choices, Mario, Switzerland and tagged Choices, Mario, memoir, memories, natural disaster, stranded, transportation, travel, vacation, Volcano. Bookmark the permalink.